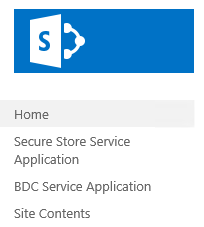 When your developers asking for BCS to be configured and If you do not see any links for BCS and Secure Store Service applications under your tenant admin portals, it’s quite normal. 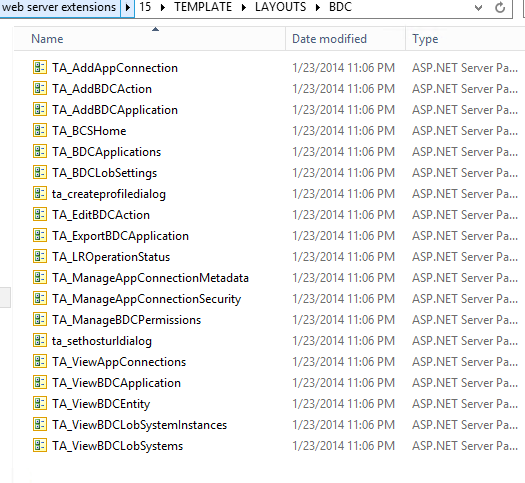 That not necessarily mean the Multitenant concept is not supporting BCS or SSS in partitioned mode. 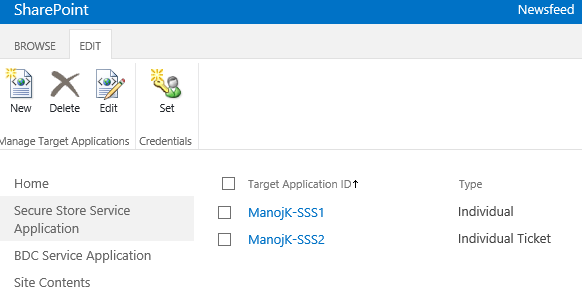 When the initial scripts are executed to perform service application creation, these two applications are also provisioned. However the linking is not done. Once configured in partition mode, the generation of encryption keys remains a farm level configuration performed either via Central Administration or Windows PowerShell. The remainder of the Secure Store service configuration moves to tenant administration. However the Tenant Administration site template does not include the link to this page, which can be added using the customization technique in the Extending the Tenant Administration site template section. Spencer did a wonderful job with his detailed explanation to Multitenancy http://www.harbar.net/articles/sp2013mt.aspx. Thanks to this great series of article, I was able to setup a comprehensive farm for one of the government agency in Asia which has over 30 tenants. Nevertheless, it doesn’t seems to cover this particular problem. Let’s find a way out of this. It’s possible to extend the tenant admin portal template to perform certain things such as adding a new link, removing a link etc.. But where are these links? If we have them, we can at least try to configure BCS and see if that functions well under partitioned mode, right? 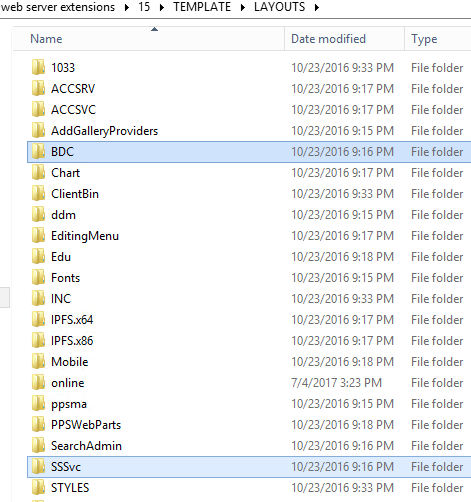 You can find the SSS and BDC Application pages in the resource folders under the following path. These folders contain the pages used in these two applications. Finding these allows us to test the Business Data Connectivity Service functionality and embed the URLs to the tenant admin portals by extending the site template. Copy both these URLs to a notepad. 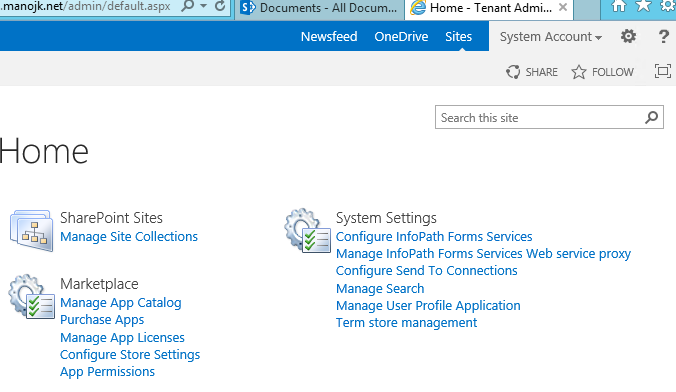 Now let’s add these links in to Tenant admin portal. For now we are adding these in to the left navigation so that if everything works well we can extend the template and add the links globally and permanently. They should appear in the left panel right away. Click on each, and you should be able to open up the applications now. If everything goes well, you can go ahead and extend the layout templates. The following feature definition shows how to add a new group, several links, and remove the link to the Manage Site Collections page. Doing this allows us to globally enable the links across all tenant admin sites at once.